Dear Customers, Bob's Red Mill Flaxseed Meal has a robust nutty flavor and tastes really great! Two tablespoons added to your cold or hot cereal, pancakes and waffles or baked into your breads, muffins and quick breads bring you the amazing nutritional benefits of omega-3, lignans and dietary fiber. This opaque packaging material preserves the healthful omega-3 fats which are an essential parts of our diets. 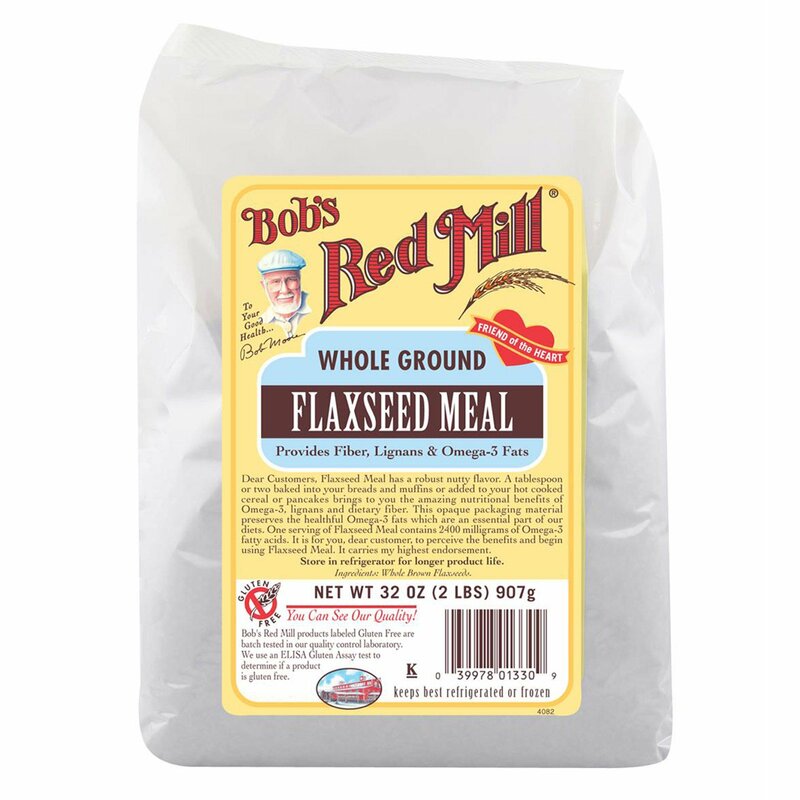 One serving of flaxseed meal contains 2400 milligrams of omega-3 fatty acids. Mix together flour, Bob's Red Mill Flaxseed Meal, oat bran, brown sugar, baking soda, baking powder, salt and cinnamon in a large bowl. Stir in carrots, apples, raisins (if desired) and nuts. Combine milk, beaten eggs and vanilla. Pour liquid ingredients into dry ingredients. Stir until ingredients are moistened. Do not over mix. Fill muffin cups 3/4 full. Bake at 350ºF for 15-20 minutes. Yield 15 medium muffins. Opaque package protects important nutrients. Store in refrigerator for longer product life.